There you go. It’s nearly impossible to have a case of Sunday terror, now that you know about this beautiful, multi-hued brush set from Sephora Collection. 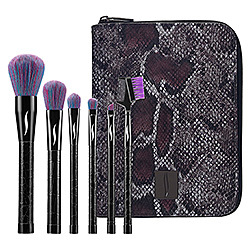 At $55, this kit contains all you need for perfect makeup application and comes housed in a faux snakeskin clutch. The perfect gift for your vegan friend, it contains a powder, blush, all over eyeshadow, precision eyeshadow and brow comb. 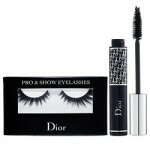 All are made from synthetic materials. Purchase the Sephora Collection Color Fusion Brush Set at sephora.com. Love the purple brushes! Vegan brushes always feel soft on my skin.